Not sure what the weather is like where you are, but Mother Nature is teasing us with Spring here in Central Kentucky! The bulbs are coming up, grass is greening up and birds are singing. Kind of scary since February is a winter month but the bees (yes, survived another winter) are loving it, and we have started seeds in the hoop house. Can’t wait to get into that garden! 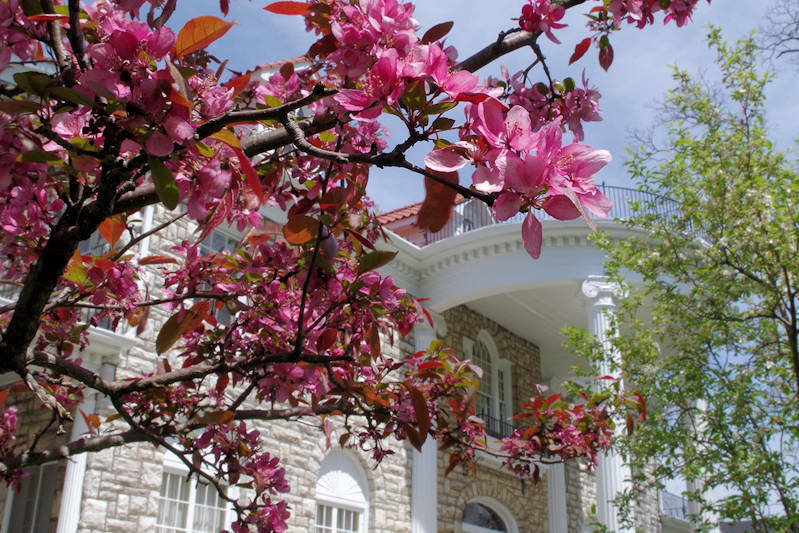 As Spring approaches there are so many things in the area I look forward to, such as the Bluegrass Trust for Historic Preservation’s Antique and Garden Show. In its 32nd year the show runs March 3-5 at Kentucky Horse Park’s Alltech Arena. It is a great show with over 80 antique dealers—antiques, jewelry, silver, rugs, etc. and garden designers, stone and iron art. I love looking at the antiques, talking and learning from the dealers but most of all I love getting ideas for garden design. (Not that I have re-designed any of them but I can always dream!) For tickets or more information, www.bluegrasstrust.org, 859/253-0362. Another fun, interesting thing to do is visit our local alpaca farm, Black Watch Alpacas. Moving to Kentucky from Colorado and Florida, Deb and Paul raise prize-winning Huacaya alpacas on their farm in North Mercer County as second career or maybe retirement (looks like a lot of work for retirement!). Yes, you can pat the alpacas and they don’t spit! Deb has a wonderful shop, Little Shoppe on the Farm, filled with fine alpaca products—scarves, sweaters, yarn, hats. Be sure to pick up rack card at our front desk for 20% off coupon. And then of course there is Keeneland, thoroughbred horse racing at its finest! This spring meet opens April 7 and runs through the 28. I just love it—the setting is beautiful with lots of trees, green grass, stately stone buildings and just being able to watch those amazing horses do what they like to do—RUN. One doesn’t have to bet to enjoy but keep in mind you can make a 10 cent bet and there is Keeneland staff in the crowds to teach you how to bet, handicap, etc. (I thought the best way to bet was your favorite color of jockey’s silks or the name of the horse. My father-in-law’s advice was always “bet on the gray.”) If you are an early riser you might enjoy the watching the horses work out at the Sunrise Trackside on Saturdays. No racing on Mondays or Tuesdays but tours are available on Tuesdays. I am not the only one who loves Keeneland so the weekends are pretty crowded, try to come during the week or Sundays (no racking on Easter Sunday). For tickets and more information, www.keeneland.com. Another wonderful event that showcases the beauty of the horse is Rolex Kentucky, April 27-30. It is a most prestigious event, the triathlon of Equestrian Competition. Held at the Kentucky Horse Park, participants from all over the world compete in dressage (Friday), cross country (Saturday), and show jumping (Sunday.) My favorite is cross country, watching these beautiful animals with talented riders jump over obstacles made especially for this event is exciting and amazing! Dress is very casual, crowd is fun and seems a lot of folks bring their dogs. For more information and tickets, http://rk3de.org. Come whenever you can to enjoy Spring in Kentucky and let us be your “home” as you discover all Kentucky has to offer.